This virtual journey through scale demonstrates the fractal nature of reality. The world is not a set of discreet levels- such as the cosmic, human, microscopic & atomic scales. Reality is a non-stop continuum of infinitely intricate detail. A few months ago I posted about Wim Hof, after seeing the VICE documentary about him. He is a very interesting man, who has learned to control his mind & physiological processes through meditation, breathing exercises, and increased exposure to the cold. Wim has broken endurance records and offered himself up to intense scientific scrutiny. The most amazing thing about his achievements is his ability to control his autonomic and immunological physical responses. He has been injected with endotoxins without eliciting a immune response. His biological system has been shown to possess superhuman traits. He can endure freezing temperatures and hold his breath for periods that other people would find impossible. What makes Wim Hof so important is his eagerness to share his wisdom and abilities with the rest of the world. His motivation is literally to change the human race and to fight the perceptions of illness and mental limitation in all people. I recently heard he was on the Joe Rogan Experience podcast, so I listened & wasn't disappointed. The interview is about 2 1/2 hours long, but I highly recommend it. I would go as far to say it's a must-see. If you can't hear the entire interview, it would be beneficial to at least listen to this excerpt, where he teaches Joe some of his breathing techniques. These techniques are drawn from ancient meditative practices such as Tummo, "The Inner Fire". Wim Hof is definitely a man we can all learn a lot from. Here is an article that outlines his breathing & meditation techniques. Even if we can't implement all his teachings, even just learning to breath deeply & consciously will have great benefits. • Breath in 30 times fully, then letting each breath go- but not fully breathing out. • Inhale fully and hold for 10-15 seconds. • Repeat one or two times. 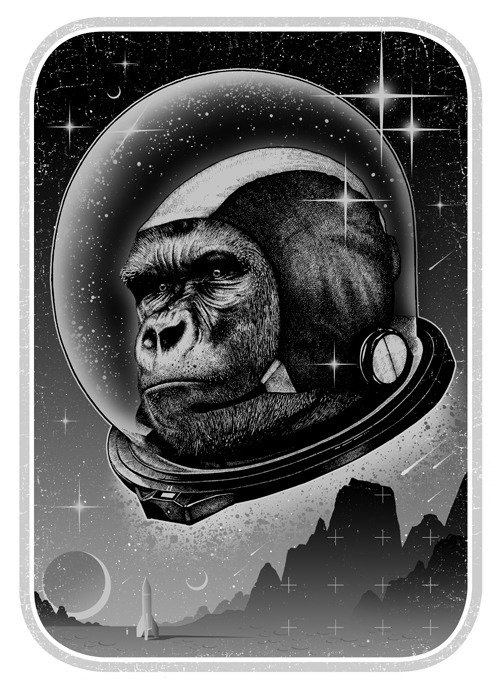 On Visual News, I saw animations by Markos Kay that I thought were really cool. I am endlessly amazed by the study of Life, biology, & things on the microscopic level that we can't perceive with our ordinary senses. 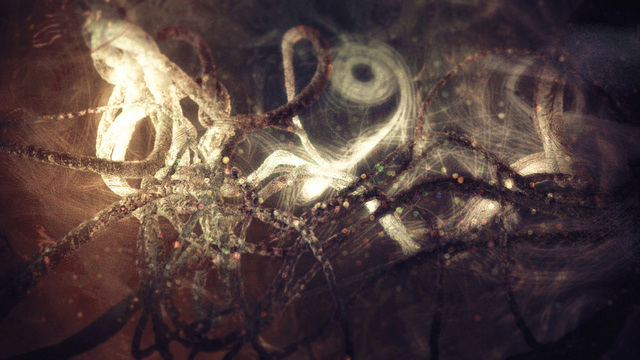 These animations simulate biological processes on a cellular level & look almost psychedelic. The Flow from MRK - Markos Kay on Vimeo. These videos show the "squishiness" of life on the cellular scale. Everything is vibrating and interacting. Life is much more full of "life" than we realize. I think these animations capture that vibrant & organic quality. The Powers of Ten: Lymphocyte from MRK - Markos Kay on Vimeo. On a side note, I've been listening to alot of lectures by Dr. Bruce Lipton. He thinks that environment is much more influential than genetics for the organsm. DNA is just a blueprint, but he explains that the real "brain" of the cell is the membrane. This is where interactions take place that influence the response of the cell. It is where the cell body "learns". the destroyed helmet of Darth Vader. Last night, the movie trailer for "Star Wars:The Force Awakens" was released. I didn't catch it on TV, so I looked it up online. It had 700,000 views, but this morning it's already up to 7+ million. The trailer definitely exudes the character of the Star Wars series. Everything I've seen about the movie so far looks & feels great. It's awesome to think that this timeless saga is going to get new chapters on the big screen, using a combination of new & existing characters. What it is really making an impact on me is the use of familiar elements, but seeing them in a different way. 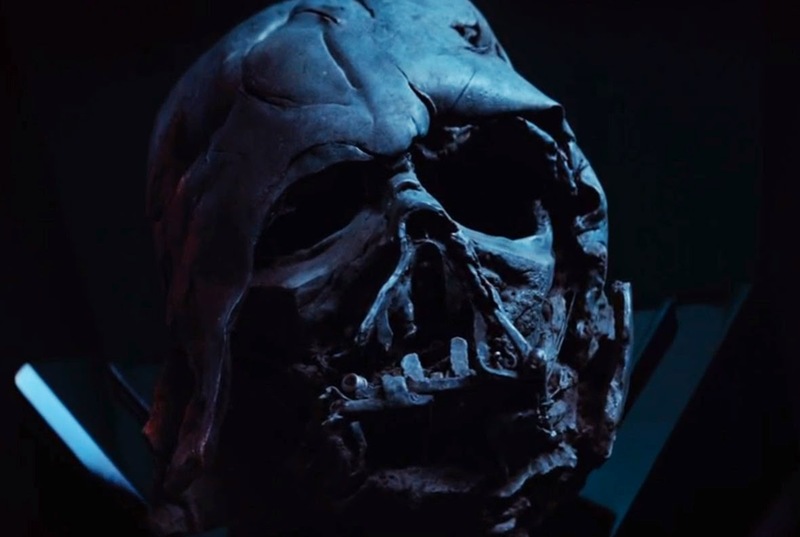 For example the scene with Kylo Ren holding the long-dead Sith Lord Darth Vader's aged helmet, which is now mangled, burnt, and reminiscnent of a skull. It is a stark contrast to the fearsome. polished black armor that one represented Vader's temporal power. 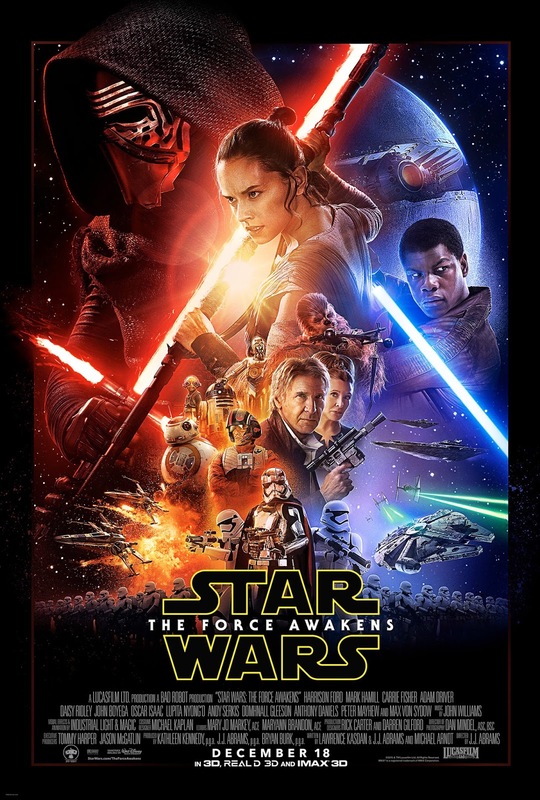 Also symbolizing the old order of the Galactic Empire, the beginning of the trailer shows Rey (with a light on her face that may be seen as a symbol of searching & future illumination) rappelling through the husk of a crashed Star Destroyer, a gigantic mile-long warship that had the ability to conduct planetary assaults. It is now nothing but cavernous ruins, slowly disintegrating in the desert of Jakku. These are clear symbols showing that this is a new era, yet still connected to the past. Along with the name itself, "The Force Awakens," the feel of the movie seems to be keeping in line with the original focus on the telling of The Hero's Journey. This is a journey of the soul exemplified by fictional characters, but experience by each one of us through the challenges that we face in life. By facing life with courage and purpose, while rising to each circumstance you encounter, you can also embody the hero's quest. This set of transformative experiences can lead to an awakening of one's mind & spirit. It appears that the main characters, Rey and Finn, are both facing the traditional hero journey. There is speculation that Rey is really a Skywalker, and this would make sense to me, since the entire series is a telling of the family story. The absence of Luke Skywalker is fueling a lot of rumors, but it appears to me that he is the one touching R2-D2, with the mechanical hand that replaced the one sliced off by his father. Luke may eventually help the younger characters on their quest as Obi-Wan did for him. I'd like to think that he is either creating a new Jedi order or forced out of hermitage to help confront new manifestations of The Dark Side. The calling to the hero's journey is usually unexpected. It looks like both of the main characters are suddenly thrown into their situation- much like the characters in the original movies were led into their journey by circumstances beyond their control. The interplay of the opposite aspects of The Force also seem to play a big role. The heroes (especially Rey I would guess) will have to grapple with both sides, The Dark and The Light. It is interesting that the group of black-clad figures that appears to be The Knights of Ren do not follow the Sith rule of allowing only a master & apprentice. In fact, it looks like the "Knights" look like a fairly ragtag & motley group with mostly non-energy weapons, like staffs & clubs. Maybe they're a gang of wanna-be thugs or mercenaries, with Kylo trying to find relics to establish a connection to the Dark Side users of old. I think the mix of old, familiar features with new looks really well done, so far. I'm really looking forward to joining the rest of the human race in seeing "Star Wars: The Force Awakens" when it is in theaters at the end of the year. The invention of the microscope opened up a new level of reality that was previously outside the realm of human perception. Since then, we have been continuously expanding our boundaries of experience, using tools that help us to understand reality at different scales and in different modes. It's possible to see things that people in previous times not only were unable to see, but were unable to even imagine. I've posted before about the Nikon Small World photography contest. It is a contest that combines science and art, with entries of photos which show fascinating images of mostly biological systems & phenomena in the microscopic realm. On Neatorama, I saw the winners of this years contest. 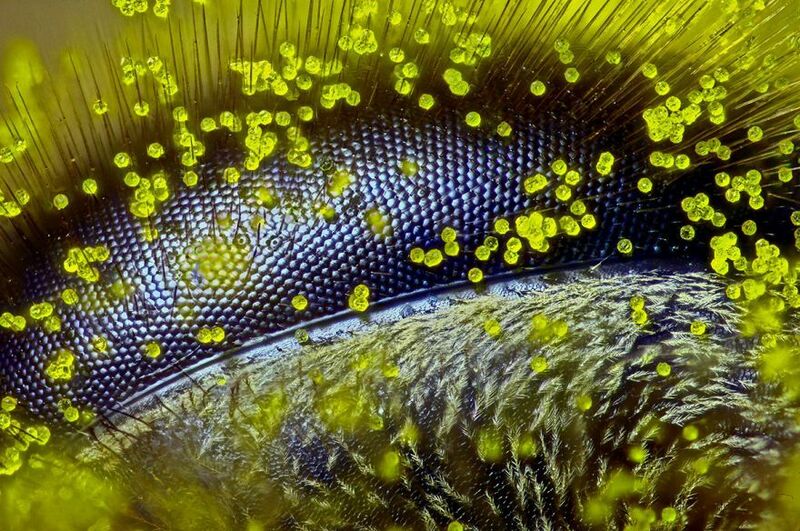 The winner was this awesome closeup image of the compound eye of a honey bee, covered in particles of pollen. This animated GIF speaks for itself. It seems that consciousness and the creative principle pervades the entire Universe, including the temporal collection of phenomena we call a "human being". 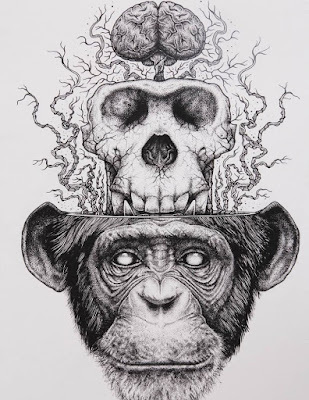 Our individual consciousness is a specific manifestation of the information processing that happens at the quantum level & pervading all existence. Last night, I was able to watch the entire debate between the Democratic candidates for President. I wanted to post a few quick thoughts about it. First of all, it was much more of an adult conversation than the perverse spectacle put on by the dozen Republican candidates in their debates. 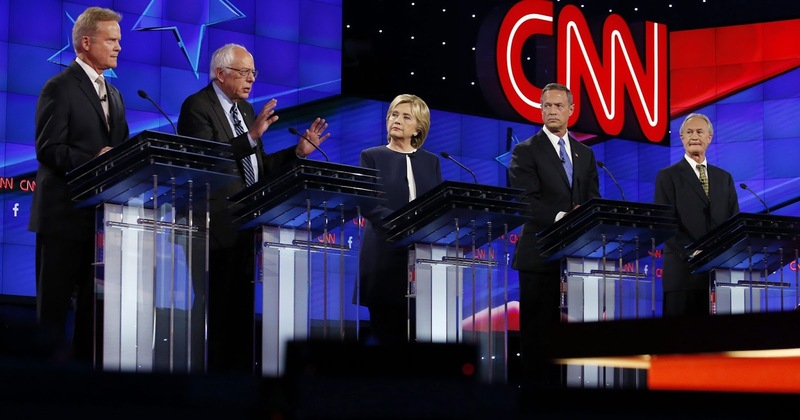 I would rather have any of the Democrats on the stage in the Oval Office before any single one of the Republicans. The GOP have knack for putting forth horrible candidates, and they are mostly only pandering to the lunatic right-wing fringe & big money donors that have come to dominate the party. As far as the Democrats, I am sticking with my man- the Independent Senator from Vermont, Bernie Sanders. Bernie came out swinging in his opening remarks, blasting his top issue- economic inequality in this country. Overall, I think Bernie was pretty strong. Someone who I was watching the debate with (who is fairly conservative) commented that he was the most forceful out of the group. He spoke clearly about the serious issues facing this country, and he explained where the U.S. is behind compared to other industrialized countries- wealth disparity, lack of universal health care for all citizens, absence of paid family leave, no tuition-free public education, etc. He was also the only one with a realistic view of gun control in this country. He emphasized the importance of mental health in preventing gun violence. He was also correct to believe that we shouldn't be going after gun manufacturers with lawsuits if their products are used for evil purposes. It would be the same as suing a car manufacturer if someone uses a car to run people over. I'm not a big gun advocate, but the reality is that there are millions of people with guns in this country & that's not going to change. What we need to do is to make it more difficult for psychologically disturbed people to aquire guns & get these people the mental health care they need. Hillary Clinton did very well in the debate. I'm not a big fan of her & definitely think we need someone other than a Clinton or a Bush in office. However, she came off as empathetic to the needs of the people in this country. She is undoubtedly a war hawk, but that's perhaps compensation to look like she'll be tough enough to handle a foreign policy crisis. She clearly has no love for the Republican party, who have demonized her relentlessly over the decades. Martin O'Malley is someone who I was unfamiliar with, but he impressed me during the debate with insightful answers and a vision for how to lead the country, including the goal of clean energy independence. Lincoln Chafee seems like a nice guy who made clear he is "scandal-free". I think he is well-intentioned but I'm not sure he has the mass appeal of the other candidates. Jim Webb is a typical military guy who has serious experience & credentials, but he kept complaining about how he wasn't getting enough time to talk... which wasted a lot of time. It also made him look like he was whining. 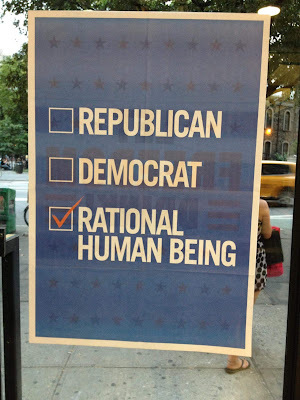 Like I said, any one of the Dem candidates would be a better choice than a Republican. 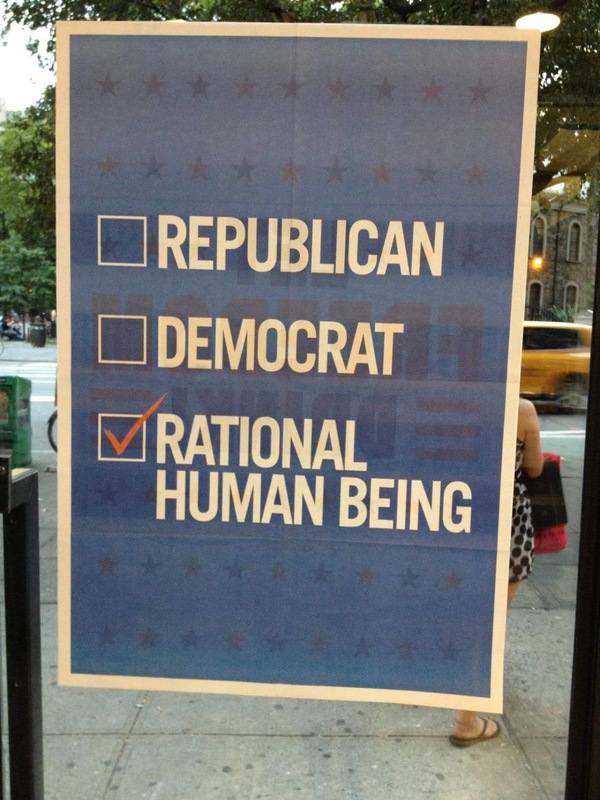 However, I'm sticking to my choice of Sen. Sanders while looking forward to more debates in the coming months. 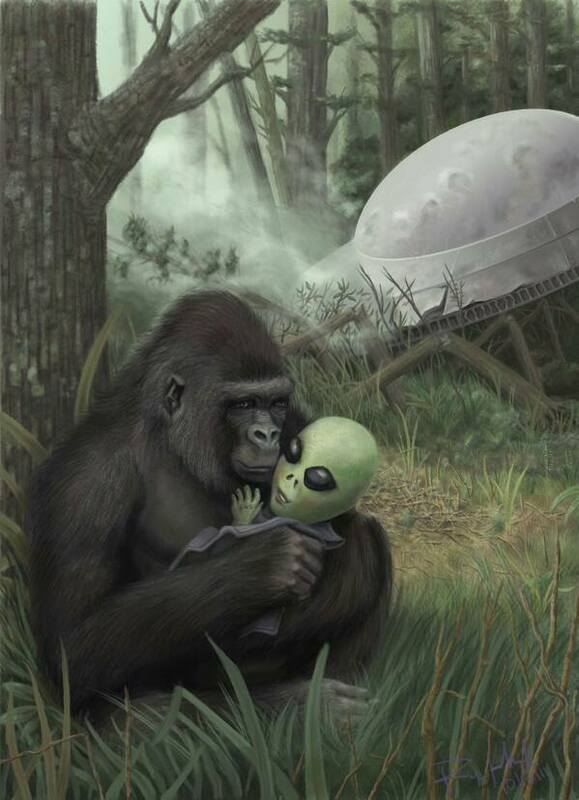 I saw this awesome image on fUSION Anomalog & had to post it, since it contains both apes & aliens. An extraterrestrial baby is found in the forest by a gorilla, at the crash landing of a flying saucer spaceship. The high resolution original seems to be from the Google+ page of John Karnaras. I have always had a deep interest in biology & anatomy. The more I learn about living systems, the more I am utterly amazed. Recently, I have been particularly curious about our digestive system & the details of its workings on a microscopic level. I have been posting about the connection between the microorganisms in the gut and how they affect us, without us even being aware of its influence. The microbes in our digestive tract can affect our metabolism, food cravings, and even our mood or personality traits. I saw this informative post about another important aspect of our gut that we don't think a lot about, even though it is our "second brain". I'm referring to the complex array of 500 million nerve cells that line our digestive organs, called the enteric nervous system, or ENS. 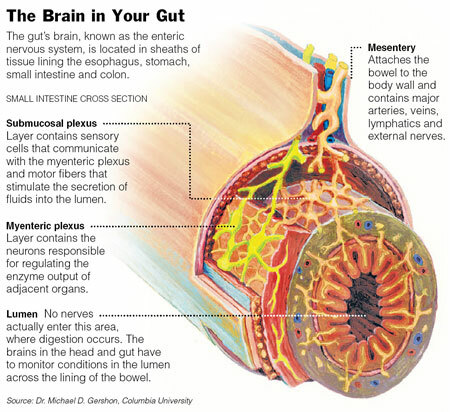 This system of nerve cells in our gut are not only responsible for controlling digestion. It is also being found to have complex effects on our overall physical health & mental states. The ENS is a part of our unimaginably complex feedback loop of physical & chemical stimuli that regulates body function. The chemical processes controlled by these neurons in our gut include the creation of hormones & neurotransmitters. This is important because the creation of neurochemicals such as serotonin (the "feel good" molecule) & dopamine (the "pleasure & reward" molecule) by these cells could affect our physical sensations & perhaps even our personality or mood. As we gain more knowledge about the intricately interconnected nature of all these subtle systems in the human body, we will also gain better insight into all aspects of the human being. Disease, mental disorders, physical ailments, and the keys to healthy & happy living will all be understood better. This will lead to an ever-improving quality of life for people who are willing to take steps to improve their interaction with their own body. This can be done through better diet and healthier lifestyle, as a result of more conscious attention to the workings of our wonderfully complex biological systems. In my last post, I expressed some of my thoughts about the 2016 Presidential Race. 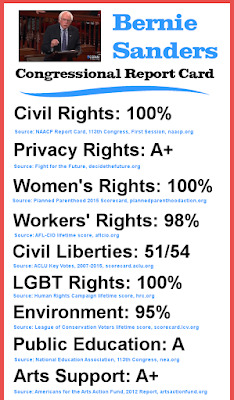 Although I tend to have progressive views & identify with priorities of Democrats more than Republicans (who, I feel, as a party have gone completely crazy), I am personally registered to vote as an Independent. I had a dream last night that I was meeting with & advising Bernie Sanders, my personal choice out of the contenders for the 2016 election. Although he hasn't been getting as much air time so far from the corporate-controlled media as Donald Trump, Senator Sanders has an ever-growing tide of online & grassroots support. My dream was probably prompted in part by the story I read last night, about Sanders drawing another crowd of tens of thousands, this time in Massachusetts. Although he has served about seven years in Congress as an Independent, Sanders is running as a Democrat. Siding with the Democrats wisely prevents him from being a third party candidate- who would draw votes away from any other Democratic nominee & result in a Republican president (which in recent history has usually resulted in disaster). Although Hillary Clinton has been seen as the likely Democratic candidate, this conventional wisdom was proven wrong last time around. As time passes, it becomes more apparent that Hillary's flaws and lack of conviction on important issues are preventing her from gaining the enthusiastic, widespread support that Sanders is gaining on a daily basis. 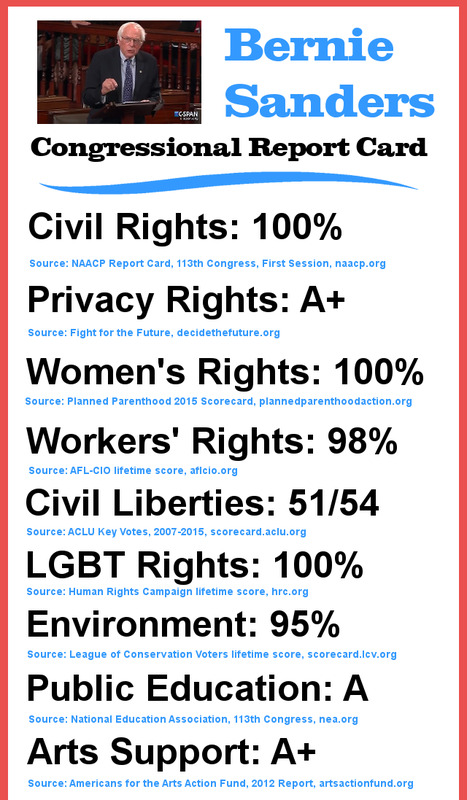 After the Democratic debates, more people will be familiar with Bernie Sanders, his voting record, and his proposals. When people become familiar with Bernie, they tend to like what they see & hear. For decades, he has worked tirelessly for the majority of people of this country. Sen. Sanders has been constantly fighting for the benefit of the average person while exposing the true "welfare queens" of our society, the Wall Street mega-banks, multinational corporations, and the top 1% of the super-wealthy- who are all siphoning off & hoarding the nation's wealth, so they can have more money than could be used in dozens of lifetimes. Meanwhile, reform & investments in infrastructure, education, health care, and the general welfare of our country are neglected. I have no idea who could possibly emerge out of the current Republican circus to be their nominee. 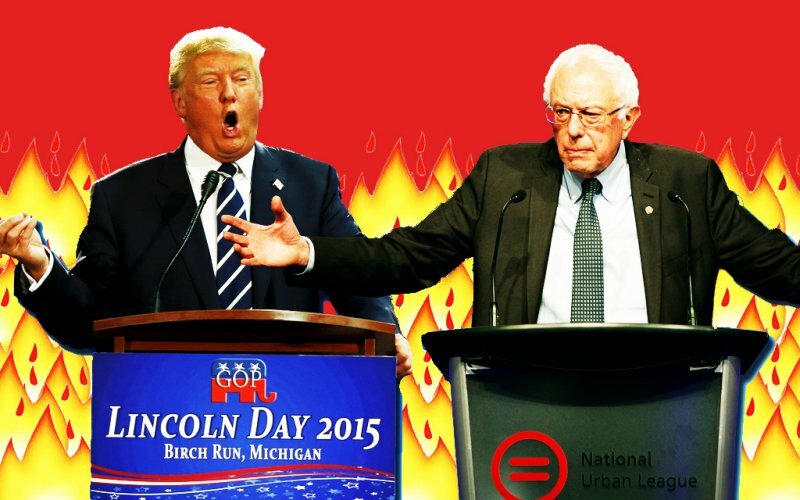 I think the most interesting matchup in the 2016 Presidential election would clearly be Bernie Sanders & Donald Trump. The reason this would be so interesting is that it would be a clear-cut war of ideologies- Capitalism vs. Socialism. Trump is the epitome of American-style capitalism, in which wealth, power, & ego reign supreme. Sanders, on the other hand, is an open advocate for Democratic Socialism, in which pursuit of profit is not the only goal of a society. Instead, some of the nation's wealth should be pooled together to reach common goals that benefit everyone. "Socialism" has become a somewhat dirty word in this country, thanks to unrelenting corporate propaganda from Fox News, right-wing radio, and other conservative media outlets. However, Socialism is basically the use of tax money to fund effective government & public programs. Anyone who doesn't like the idea of socialism should stop using public roads, the mail, the service of the police, or any other public service paid for by our tax dollars. I agree that government can be horribly inefficient, but that means we should work to improve it. It does not mean we should continue to privatize public assets, making already-rich people even more money at the expense of the general population. The problem with the conservative approach to government is that they want to destroy it from within, not improve it. This helps no one, & degrades the state of our country as a whole. Having Trump & Sanders debate the merits of their respective ideologies would give Americans the clearest choice yet of how we should collectively choose to lead this country into the future. I actually think both systems can co-exist, with different aspects of society using socialist or capitalistic means, depending on which achieves the most effective outcomes. It would be a hell of a comparison, though, and perhaps it would also be the contrast that people need to properly set our priorities as a nation. I am supporting Bernie all the way, but I think there needs to be a substantial debate from both sides about creating a vision of how to run our society. We'll see if we get this debate in the coming year. I saw a gallery of cool ink drawings, including this image of the nesting parts of a chimp's head- the face, skull, and brain. 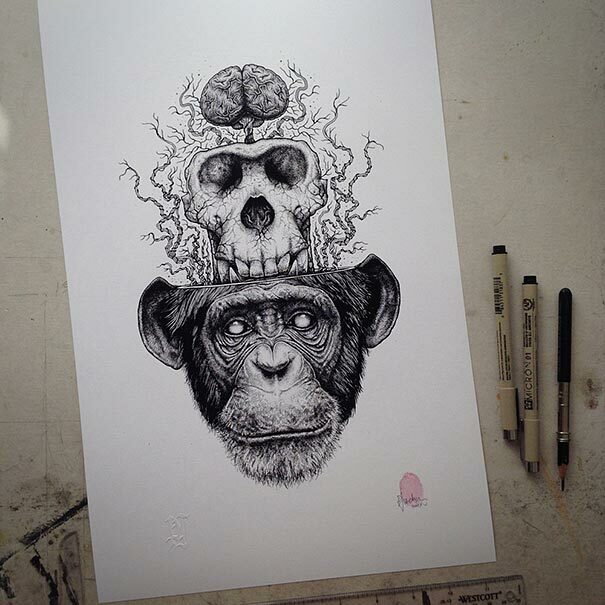 The artist is Paul Jackson and the title is 'Chimp Skull Extraction'. Here's a straight-on view.